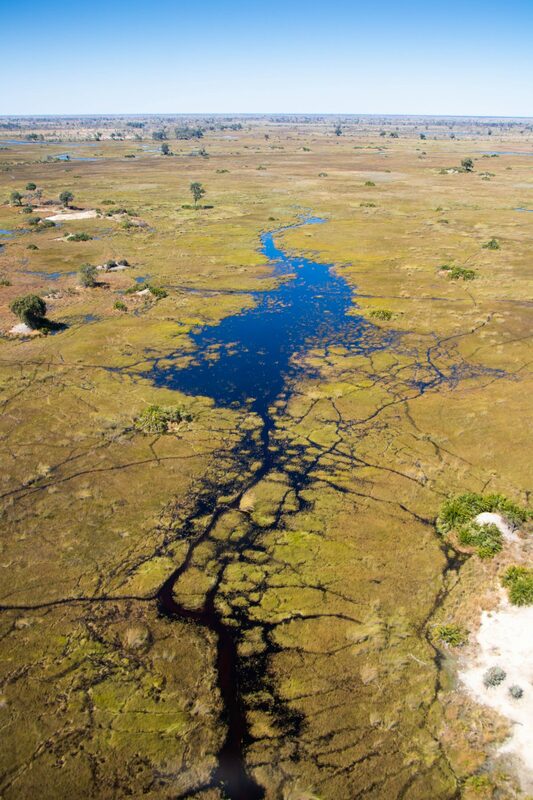 The Okavango Delta creates a unique "water in the desert" ecosystem. When flooded, it forms floodplains, lagoons, channels and islands that act as a magnet for wildlife. It is one of the world's largest inland river deltas and is so large that it can even be seen from space. The Okavango is home to more than 2,000 plant species, 450 bird species, 65 fish species and countless numbers of large mammals... It truly is one of the greatest wildlife destinations on the earth. I took this photograph during our 30 minute helicopter transfer from Selinda Camp to Duba Plains.